And whoa whoa whoa! Someone's planning ahead and saving $2 per ticket. Way to go. Enjoy the show. ​Use the arrow to toggle to other dates. Use the arrows to toggle to other dates. 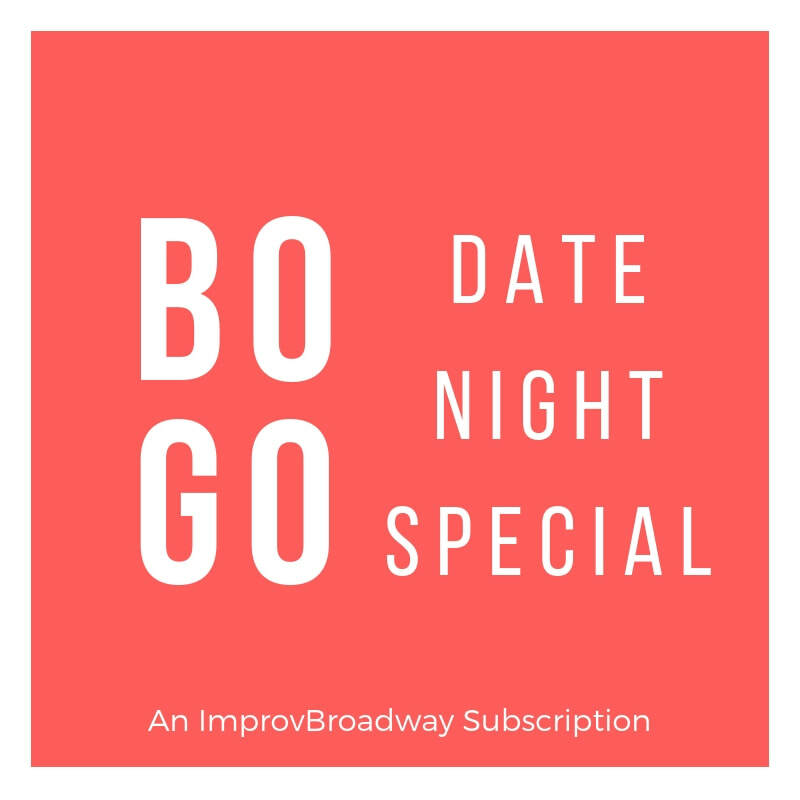 Whether it's with your man crush, lady friend, or platonic work acquaintance, ImprovBroadway is your safest and funniest bet for a great time. Now that you can get yourself and your date in for only $5, it's a no brainer. For only $5 a month, get two tickets to ANY show every month. ​Terms of Service: This is a minimum 4-month subscription ($20 value). Cancel subscription anytime after 3 months from purchase. No refunds. By clicking "Shop" below, you agree to our Terms of Service. Laughter is like a good quiche, it tastes best when shared. Be that cool friend and bring along a friend to all the incredible ImprovBroadway performances and Drop-in classes. 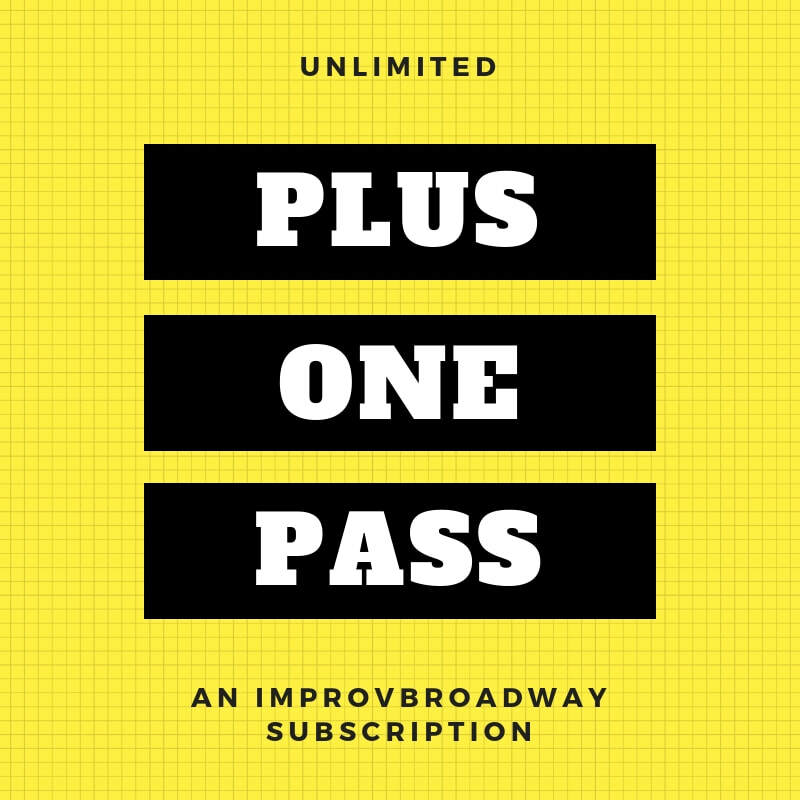 For only $10 a month, get Plus One access to ALL shows and drop-in classes. ​​Terms of Service: This is a minimum 2-month subscription ($20 value). Cancel subscription anytime after 1 months from purchase. No refunds. By clicking "Shop" below, you agree to our Terms of Service.